The males have these abbreviated wings. 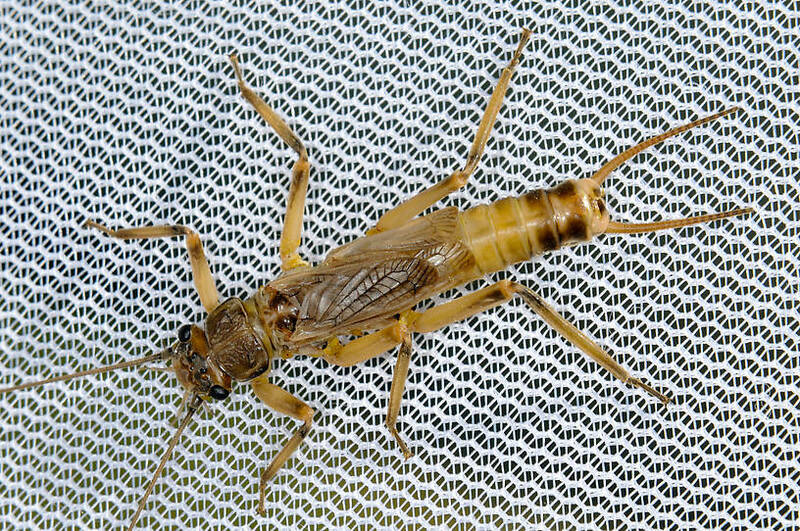 I doubt they can fly but they can run faster than any stonefly I have seen. The also have an interesting habit of jumping. 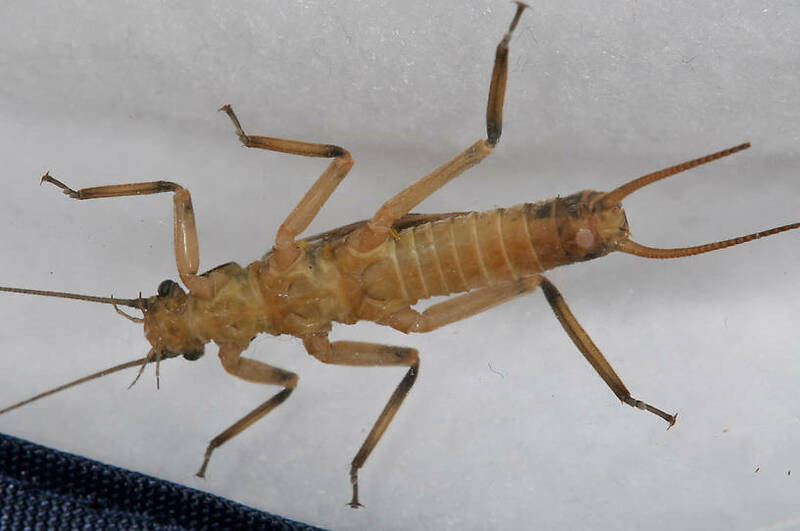 This stonefly was collected from the Touchet River on August 3rd, 2011 and added to Troutnut.com on August 3rd, 2011.